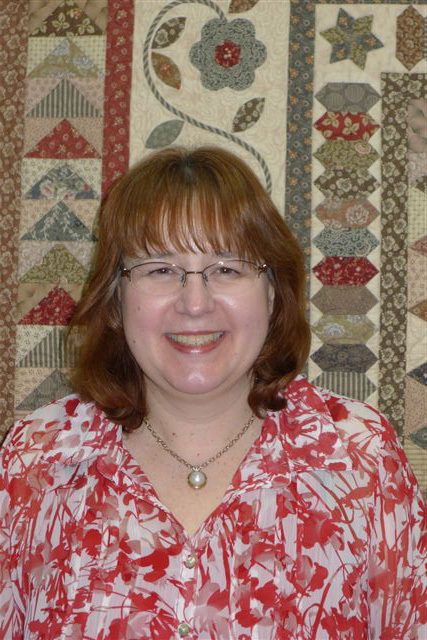 Australian Quilt Study Groups: Katrina Hadjimichael's QSG talk in March. Katrina Hadjimichael's QSG talk in March. 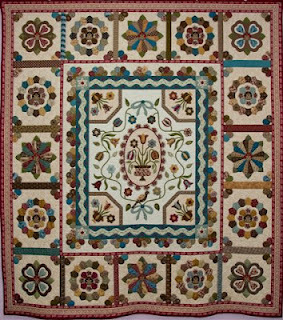 Come along to hear Katrina Hadjimichael talk for the Quilt Study Group of NSW at the Powerhouse Museum at 2pm on Saturday the 17th March 2012. "I have been trained in classical archaeology and have always been fascinated by history and the objects that past generations have made. I have been quilting for 20 years and teaching my own designs for the past 10 years. My recent work has centred around a group of quilts inspired by antique English quilts. I have named these quilts after the houses featured in Jane Austen's "Pride and Prejudice": Pemberley, Netherfield, Longbourn and Rosings. I also love to make quilts that look old using my large stash of reproduction fabrics and traditional designs. I am currently writing a series of articles for "Quilters' Companion" magazine detailing the history of patchwork designs and quilting techniques." Katrina also has a blog http://katrinahadjimichael.blogspot.com.